Many people are familiar with Gerber baby foods as well as TV commercials pitching the company's life insurance for babies. Established in 1967 as a subsidiary under the Gerber Products Company, the company grew to becoming the most prolific and successful direct-marketing company selling insurance products to consumers. 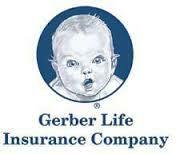 Gerber is also the biggest player and leading seller of juvenile and baby life insurance products. At any given time today, Gerber includes in its portfolio over $37 billion in life insurance policies provided in both the U.S. and Canada. The company doesn't rely heavily on agents or insurance brokers. Instead, Gerber uses direct contact via mailers, product inserts, advertising, and magazine inserts for connection with customers. 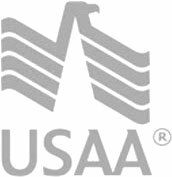 The consumer fills out the information or calls a phone number, and the life insurance policy is then established for the given child covered. All correspondence and documentation are then handled by mail and now by email and Internet. Gerber focuses its message on health babies and happy parents, marketing its juvenile life insurance plans as a way of peace of mind. As a twist on the growing cost of higher education, Gerber now markets life insurance plans that also put funds away for college savings, allowing parents to use some of the funds paid for college costs later on, similar to how a whole life insurance plan works with a cash value account.